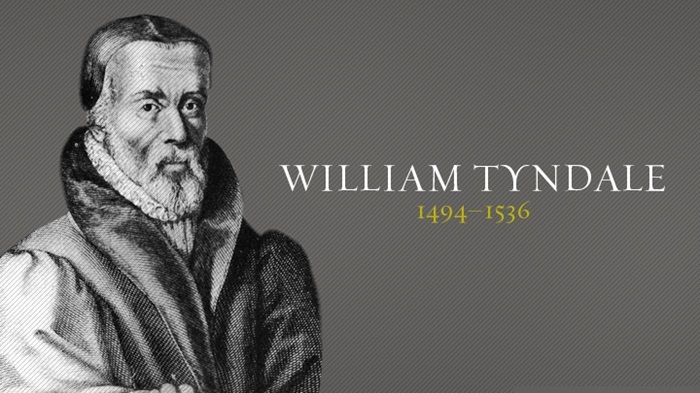 William Tyndale, John Hus, and many others were executed for translating or preaching the Word in the people’s language. The Roman Catholic Church prevented the Catholics from reading the Word themselves and from possessing and reading a Bible. Mass was performed in Latin. The RCC was fearful that if the people got a-hold of the Word, they would be uncontrollable. So it was restricted. For a thousand years. Read the word for thy soul’s health. When push comes to shove, and you are undergoing a tragedy and need comfort, or are under conviction and need some solace, the pastor’s witty anecdote is not going to help you. The pastor’s fad-driven bullet point topical sermon is not going to help you. The greatest help we have is the Word- with the Spirit to illuminate us to our mind. There is nothing like the word, because it is alive. Let each true church commit to expository preaching. What IS expository preaching? Read the word to the people, explain what it means in context, repeat next Sunday. Do we need fancy stunts? Do we need extreme stage lights and fog machines? Do we need motivational speeches? Do we need to change the church so we can attract the goats seekers and meet their “felt needs“? Do we need to ditch everything and be radical, wild at heart manly men? Another argument that I would adduce at this point is that the moment you begin to turn from preaching to these other expedients you will find yourself undergoing a constant series of changes. Does your church still do the Prayer of Jabez? Undergo 40 Days of Purpose? Wear a WWJD bracelet? Maintain membership in Promise Keepers? Are you still renovating your prayer closet/war room? Do you see how many changes you have to make when you focus on the world and its church fads? If you preach the word, it does not change. It may change you, but it does not change. John MacArthur has been preaching it from the same pulpit for nearly 50 years. He reads the word to the people, explains what it means in context, repeats next Sunday. I hope your pastor does too. Expositors today preach the Word. The evangelists in the Second and First Great Awakenings preached the Word. The Reformers preached the Word. Apostle Paul preached the Word. Jesus preached the Word. Ezra preached the Word. Noah preached the Word. Pastors, please exposit the word. Today we have to ask all those elders, expositors to come to preach That Most Important Word. all those who hope to have some mega church running should better remember those who did their best to bring the Word of God to the people: The evangelists in the Second and First Great Awakenings and the Reformers who preached the Word, like the apostle Paul preached followed Jesus who also preached the Word, him following Isaiah, Ezra and so many man of God who where not afraid to preach the Word of God.